The Image Exodus continues in October, as we look at Whilce Portactio's last issue of Uncanny X-Men. Also, the X-Men/Ghost Rider crossover concludes, and Wolverine (annoyingly) goes bi-weekly again. The first week of the month is a short one, due to the work I'll be doing prepping for the local fall comic-con on October 8th. If you happen to be a reader from the Midwest, come to the show and say hi! I'll be at the creator check-in desk most of the day. That is one ugly ugly pin up. What is it from? It was in an issue of MARVEL AGE, accompanying a random promo piece. I'll agree with you on the ugly, but at the same time, to my eyes, that's one of the better pieces of Portacio X-art. Gotta love that off-model color job on that pin-up. As a kid, it always bugged me when a fill-in artist or licensing art would get the costumes wrong. I'm sure they had reference, so it was bizarre that they'd neglect certain details. That is one badly drawn Wolverine. The others aren't drawn that well either. Oh man, the end is near. I stopped picking up X-Men every month before #300, managing to get that one and the holograph one before giving up on comics entirely, for a long while. Most anything I've done since has been limited to a TPBs or very brief runs/limited series, and keeping up with stuff on the MU app. The end of an era. 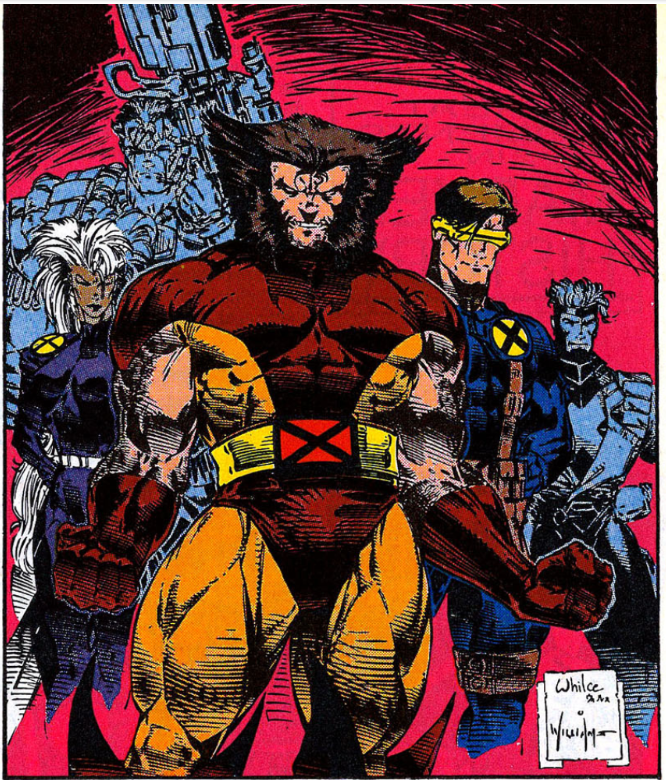 That's interesting, because around issue #300 is when I started reading X-Men (Granted, I was 5 at the time). What were your reasons for giving it up? Was it that bad?